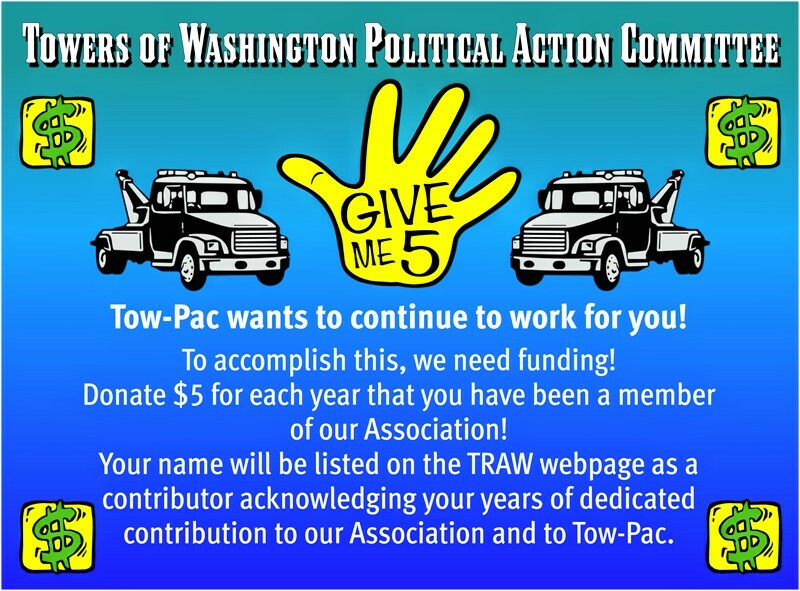 Grab a little "bragging" rights & give a little to TOW PAC"
Calculate how many years you've been a member. Multiple the number by $5.00. Click on the Donation form link below to print the donation form. Every $5 or $10 or $20 for each year you've belonged helps as we prepare for Olympia. HOW LONG HAVE YOU BEEN A MEMBER??? CHECK OUT "GIVE ME 5"
"The Power of A Team"